The special low, contoured design offers a better fit for patients with short necks. Special low, contoured design offers a better fit for patients with short necks. Available in Medium and Firm density foam. Ideal for post-operative rehabilitation; cervical sprains and strains. Would these help a truck driver with degenerative spine disease I had operation pain management I am now going thru another pain management program. The ProCare Low Contour Cervical Collar would help with cervical support, however. It is not intended for long term use, as it would cause a loss in musculature. Will this brace holds its firm if worn during aquatic therapy, or will it get heavy for the patient via water absorption? Thank you! The Procare Low Contour Cervical Collar will absorb the water making it heavy. We do not suggest for use in the water. Does this ProCare Low Contour Cervical Collar Neck Support Brace, Medium Density, Small, only come in WHITE color? 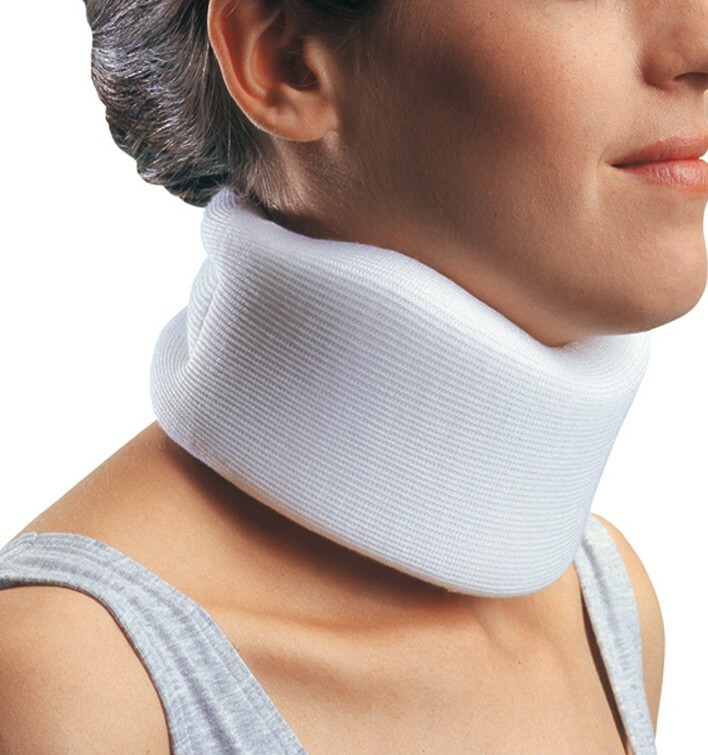 Yes, the ProCare Cervical Collar is only available in white. Will wearing any brace for any part of the neck, shoulder or elbow weaken the muscles in those area's? how is this neck brace measured? how to reference the next height and lenght. I'm from Malaysia can I buy in-line and do you ship us. Did I see this item also available in black? Can't find it now. Do you sell extra stockinette covers? Will this item have a L-Code or any other type HCPCS code ? The recommended HCPCS code for the ProCare Low Contour Cervical Collar is L0120. The 2.5 in height of the ProCare Low Contour Cervical Collar is the measurement below the chin. As you can see from the product picture, the Collar does contour slightly throughout the brace.. Please see the product page for the picture. Excellent service - fast shipping - great product. Will order again. I have been searching for a replacement collar for a long time. I found your site by accident and ordered this collar. My husband's cervical spine is completely fused together and he has excruciating headaches caused by stiff neck and shoulder muscles. This collar is exactly what my husband needed to provide some much needed relief. He is very pleased with the collar. I will continue to use it until my Chiropractor says to stop. The cervical collar made a big difference in my recovery from a terrible fall that hurt my neck. Good as the one from the medical supply store but a hell of a lot cheaper. If you measure your neck, buy a collar a little bigger. This item does a great job on a scale of 1-10 I would give it a 10 it is great.